This morning driving one of my twins to Brookline High School at 8:17 am, I spotted flashing lights at the end of Davis Ave in front of the Schluntz gym. I thought to myself, “Oh, another rainy day fire drill?” My husband and I even conversed about the number of fire drills the school has recently had during the bad weather. It just always seems to be that it’s either really cold, snowing or raining whenever there is a fire drill. With that said, we dropped our daughter off as usual and think nothing of it since the teacher didn’t lead us to believe otherwise. We proceed to go about our morning getting breakfast. I sat waiting in the car while my husband went to Starbucks and Dunkin Donuts. I was reading my email and noticed a breaking news alert from the Brookline Patch that read “Bomb Threat at Brookline High School“. Immediately my stomach was swarming with knots as I then realized why the fire engines were at the school. We return home and eat our breakfast with no further details but were full of conversation about how we felt this went wrong. I decide to give the topic a rest while my husband heads to drop our other twin off for her classes. Then ABC news sends forth their Breaking News Alert “At least 10 schools get bomb threats Monday morning“. I’m sure you can imagine my fear. I think just because I originally thought the threat was only specific to our school, come to find out it was a total of 10 schools. While I was almost certain nothing bad would happen, I was most upset about the lack of communication between the school and the parents. When we dropped off our first child, the fire department was obviously there for a reason. The threat had already come through and was known to the staff. No child should have been allowed into the building at that point. My daughter was received as if nothing was wrong. I left thinking it was just a fire drill. It was extremely upsetting to me to later find out that there was a bomb threat and they walked my child into that situation. It was 9:33 am when the school distributed an email to parents to let them know what was going on and that no children were being allowed into the school. They further stated that all children were safe. Parents were informed that the school anticipates that all students will be able to return to classes within the next half hour and that they will update us again once they are given the all clear. There is clearly a townwide need to revisit the process for parent notification during a crisis. I urge parents to communicate with their children to make sure they know what their schools plan is during a crisis and to make sure they know how to be and stay safe when you are not able to be with them. I thank all of those who worked hard to ensure the continued safety of our children and community. Opinion: When All You Want Is An Apology! 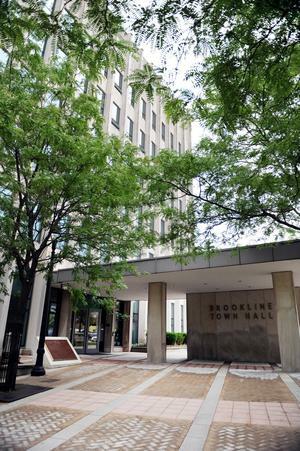 I’ve lived in the town of Brookline for all but the first three years of my life. Brookline is more than important to me. I have always urged my children to both trust in and believe in the Police Department as well as all of its municipalities. I have friends and neighbors who are a part of the police force and they have been there when I’ve needed them. This is why I am now perplexed by the current events that have taken place. Police officer when on duty or off duty must always retain composure and present themselves in the appropriate manner as their actions reflect the entire police department. Any driver must always observe their surroundings and safely operate a motor vehicle. Motor vehicles are deadly weapons. Driving in a school area is supposed to be in a reduced speed. Looking for parking spaces are supposed to be done airing on the side of caution assuming that students or other pedestrians are most likely walking around the area. The off-duty officer in question and not named in the article was driving with his ex-wife and teenage daughter also not named in the article came upon Juliette Estime, Gabriela Torres and two other students not named in the article. The Officer unsafely approached the students with his car. The students were standing in a space that the officer wanted. A verbal altercation ensued and it wasn’t pretty. Race language was thrown into the mix. The students were left feeling unsafe about the entire situation and just wanted to get away from it all. The meeting was meant to bring some level of closure to the students but instead, it brought them questions as to why there was no reprimand for the officer nor was there an apology for the students involved. How can Chief O’Leary say that while what the officer did was wrong, they don’t find him at fault for what took place. This in itself is a total contradiction. If the students continue to see that there is no reprimand or recourse at all for the actions of those in power, they will find it harder and harder to both respect and trust those in power. Unrelated to the aforementioned incident, I’ve recently learned of other incidents involving officers of color being treated badly by their peers and the use of racial slurs putting the officers of color in uncomfortable enough standing that they don’t feel comfortable coming to work or working for the Brookline Police Department any further. Why does it feel like we are slipping backwards? Please note, that I know that there are many officers that conduct themselves properly and have nothing but the utmost respect for their peers and I value each of those individuals. I want what everyone else wants and that is to feel safe in my surroundings and to always be able to respect and trust in those in positions of power. We need to be sure that all of our police officers also feel safe in their work environment while at the same time all officers conduct themselves appropriately whether on-duty or off. Acknowledging wrongdoings still comes with some sort of reprimand. An apology goes a long way, but only when the sentiment is truly meant by the deliverer. Brookline is a wonderful place to live. I would hate for anyone to get the wrong idea about what goes on here. There is certainly more good than bad. But when and if bad occurs, we must deal with it and NOT brush it under the rug. We must care about the messages we send to both the children and the adults of our diverse community. With that being said, I’m pleased that at least BHS is now offering a Racial Awareness class. I think it should be mandatory for at least Freshman and Seniors. It would be great if it was required each year, but I’m not sure if that would work staff wise. This course is key for the proper understanding for all party involved as to how key race is in our relationships and understanding one another. Talks are done for now. Hopefully renovation will be enough. Concern still lingers as people questions arise wondering what will happen if the overrides don’t pass. Personally I wonder if the renovations will truly meet the arising needs that will continue to grow unless they have plans on limiting the towns growth, which I don’t see happening.